Rene “The Challenger” Catalan, 39, of the Philippines remains bullish of the future successes of his brother Robin “The Ilonggo” Catalan, 28, in the ring. The latter lost in his most recent bout in ONE Championship, which can be boon for his development as a fighter, according to the former. At “ONE: Kingdom of Heroes,” Robin was able to fend off most of Suzuki’s ground-and-pound in the first round using his half guard. 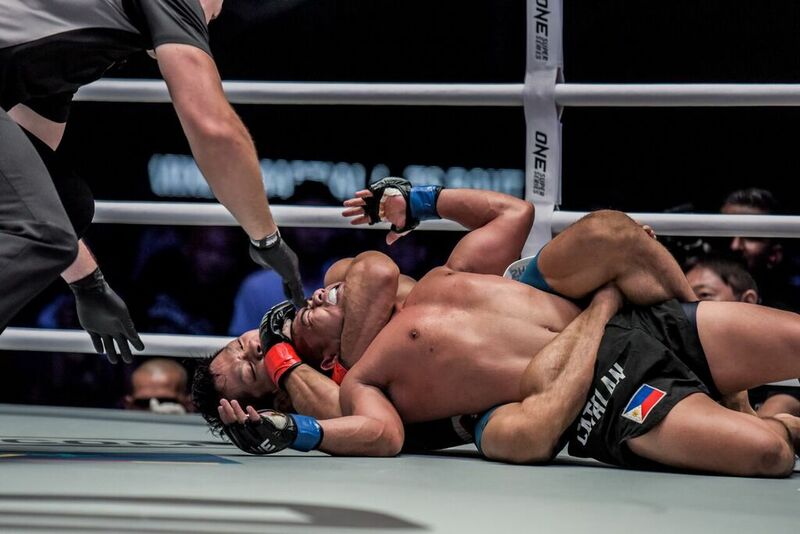 However, in the second round, the Japanese fighter’s relentless top game proved too much, forcing his Filipino opponent to expose his back. Rene explained that their game plan of keeping the action on the feet did not work on account of Suzuki’s explosive takedowns. He said the team plans on patching the holes in their ground game by increasing their time on the mat and employing the aid of luta livre black belt Afonso “Cego” Celso dos Santos of Rio de Janeiro, Brazil. Rene and Robin are multiple-time wushu sanda champions and Russian sambo champions. Because of their background, they favor stand-up battles over ground scrambles. It was Rene who was originally set to compete against Suzuki at “ONE: Kingdom of Heroes.” Rene was injured his ankle owing to a training partner’s heel hook during the training camp so he was replaced by Robin.